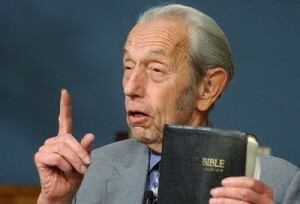 That is if we would believe the prophecy of Harold Camping, a radio broadcaster and author who claimed that today, May 21, Jesus Christ will come to gather His believers and bring them to heaven. In the meantime, those who will be left behind will witness major natural disasters never before seen by humankind. Camping's followers in the Family Radio Ministry wasted no time and took to the street to spread his warning. In fact, I've been seeing this announcement for months now posted on the back of city buses proclaiming that the Kingdom of God is coming today. I am not buying it though. Even Jesus Christ himself told his followers that nobody could tell when the Judgment Day is coming. Well, if it's any comfort to his followers, their leader is not the first one to predict the end of the world. Even the ancient people came up with their own doomsday scenario, especially when they saw something different in the sky like a comet or when planets align (which they do regularly). I remember when I was younger, there was a group in the Philippines who actually went inside a cave and waited for the coming end of the world that was predicted by their leader. Of course it didn't come and the group later claimed that their prayers helped to prevent it. This won't be the last of these doomsday prediction. The most "anticipated" of them all of course is the December 21, 2012 Armageddon predicted by the Mayan Calendar. It's so popular that it a movie was made about it by someone who has a penchant for destroying earth in movies. Science has already debunked this but people still choose to believe otherwise. So what will I do on this supposedly last day of planet earth? Why stay online, of course, and see the events unfold. people really love this kind of news no! sus. im sure ganyan din their excuse pag hindi natuloy... prayers worked. hehehe..
basta ako, play lang with my puppies, DIsney and surf! LOL!